Did you ever think about how websites, news, citations, and social media updates show up when you make a search query on Google? What decides the order in which different search results appear based on what you search? Several Google ranking factors are responsible for the positioning of websites and posts in search results. These Google ranking factors are broadly classified in various ranking signals such as domain factors, page-level and site-level factors, backlink factors, user interaction, brand signals, on-site webspam and off-site webspam factors. 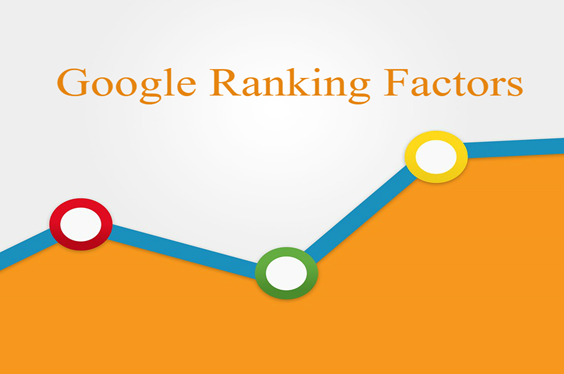 In this article, we have touched upon some crucial Google ranking factors that you must know. The way you use your target keyword of the web page in your site’s domain, and subdomain can affect your Google rankings as well. A domain name is a convenient way to point people to that specific spot on the internet where you’ve built your website. To understand the domain structure, consider an example www.abcxyz.com. Here, “abcxyz” is the main domain name, “.com” is the top-level domain (TLD), and “www” is known as the subdomain. If your keyword is a location such as the Netherlands, you can use its shortcode in the TLD, such as “.nl”. These type of TLDs are known as TLDs country code or country-specific TLDs. These country-specific TLDs can help your site rank in your country. The title tag is what appears in the headline of snippets on Google results pages. Including your target keywords in the title tags will help your web page show up when online users search for a relevant query. Although not as critical as it once was, your title tag remains an important on-page SEO signal. So, start from the beginning and add keywords at the start of your title tag. Title tags that start with a keyword tend to perform better than title tags with the keyword towards the end of the tag. Next, put keywords in your meta tag or description also. Google doesn’t use the meta description tag as a direct ranking signal. However, your description tag can impact click-through-rate, which is a key ranking factor. This means that it still matters. Including keywords in it makes it more relevant to a search engine and a searcher. H1 tag or second title tag is yet another relevance factor, serving as a description of the page content. Along with your title tag, Google uses your H1 tag as a secondary relevancy signal and ranking factor. Thus, it is a good practice to include your keyword in a unique H1 tag on a page too. Latent Semantic Indexing (LSI) keywords are words semantically related to your main keyword. A lot of people think that LSI keywords are synonyms. But this is incorrect. LSI keywords are simply words that are frequently found together because they share the same context. There was a time when the only measure Google had for the relevancy of a page to a given search query was keyword density. But due to the misuse of keyword usage, Google moved away from keyword density and began looking at LSI keywords. Let’s take an example to understand this. A genuine blog talking about Apple laptops will likely contain several other related words such as laptop, MacBook, Apple stores, Apple products, Apple new iPad, Apple stock price, etc. On the other hand, a keyword-stuffed page about Apple laptops will probably just contain that one keyword. LSI keywords help Google understand what the page is exactly about, and allow Google to improve the match between what people search for and what they find in the search results. Backlinking is yet another element that comprises several Google ranking factors under it. The quality and quantity go hand-in-hand to determine the ranking of your website. Let us look at some of the backlinking factors that matter to Google. Backlinks from old and aged domains may be more powerful than new domains. The total number of linking pages, even from the same domain, has an impact on rankings. The number of domains that your website is getting backlinks from matters. If you get backlinks from several quality and reputed domains, your website will have higher chances of ranking higher. Backlinks from quality websites that have location-based TLDs tend to add more value to the website. The authority of the page from where you are getting backlinks has been a significant ranking factor since Google’s early days and it is still the same. Backlinks from other pages ranking in the same SERP or competitors may be more valuable to your site’s ranking for that particular keyword. If you get backlinks from authoritative websites from your industry, Google will consider you as a credible source of information and index you accordingly. The quality of anchor text used for linking also matter when comes ranking on Google. If a keyword relevant to your web page is used to as the anchor text for hyperlinks, the web page may have higher chances of ranking high. The same applies to the image links. The Alt text of the images acts as the anchor texts for backlinks from images. Having an unnaturally large percentage of backlinks coming from a single source, whether a web page, post, blog, news, or anything else, may be considered as a sign of webspam. When words like “sponsors,” “link partners,” and “sponsored links” surround the anchor text of a link or if these words are the anchor texts, the backlink’s value may get decreased. Backlinks from guest posts still pass value. However, they aren’t as powerful as links from other sources. Just like guest blogs, backlinks from advertisements are also not considered to be as powerful as other links. Links at the beginning of a piece of content may carry slightly more weight than links placed at the end of the content. Talking about the page from where your backlinks are coming, the links embedded inside a page’s content are considered more powerful than links on an empty page or found elsewhere on the page. These are just some of the many backlinking factors that affect the value and relevance of your website on Google. There are several other factors that also matter. How people visit your website, the source from where they visit, the actions they take on your website, and the amount of time they spend, everything counts when it comes to Google ranking factors. After the RankBrain algorithm update in 2015, the type and duration of interaction website visitors have with the website is accounted. The main purpose is to measure how users interact with the search results and rank the results accordingly. Google uses data from Google Chrome to determine how many people visit a particular site and how often. Websites with lots of direct traffic are considered as higher quality sites when compared to sites that get very little direct traffic. Websites with repeat visitors may get a Google ranking boost. Google considers various other details from Google Chrome such as the pages that get bookmarked in Chrome might get a boost. Likewise, your browsing history on Google Chrome is also taken into consideration. You might have noticed that the websites you frequently search tend to appear higher in the SERPs. Another factor Google ranking factor is the click-through rate for the keywords you use. A website that gets clicked or has a higher click-through rate (CTR) for all its targeted keywords tend to get preference on Google. Talking about the bounce rate of the website, several search engines don’t consider this as one of the factors. But when it comes to Google, it does monitor the bounce rate on every website, and this bounce rate influences the website ranking on it. Websites with higher bounce rates have lower chances of ranking higher in SERPs. When website users stay on a particular website for a long time, Google tends to give them more value as compared to websites where people leave web pages in a matter of a few seconds. The overall brand image of your business on the internet, including social media channels, also contribute to the page relevancy and ranking of your website. 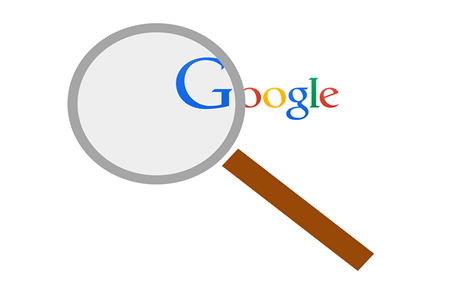 If people search for your brand on Google, they will simply type the brand name in the search query. 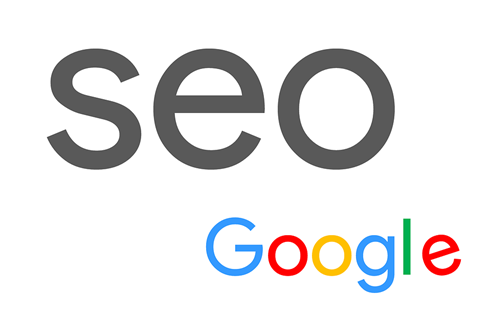 This indicates Google that your site is a real brand, and thus, Google will add relevancy to your business name so that it appears for relevant queries. Google accordingly takes into consideration the brand name and displays the search results. For example, if someone types “Apple” in the search query, it will feature results based on Apple company instead of the fruit. Coming to the social media, brands with complete Facebook and Twitter profiles that have lots of followers tend to rank higher in the SERPs. For business owners, genuine LinkedIn accounts with a considerable number of followers is crucial. But this, too, is subject to various conditions. To enhance your brand image, you need to have a genuine social media profile. A social media profile that has thousands of followers but only 2-3 posts will not be considered as a credible or legitimate account. The number of followers and their interaction with multiple posts can be considered as a valid and genuine profile. Google also considers the non-hyperlinked brand mentions as a brand signal. Therefore, even if your company brand may not receive external links, co-citations can boost your SEO rankings as well. Mentions from other websites also act as significant Google ranking factors. So, if you worked with another business, provided services to another business, or outsourced your business functions to another business, mentions on their website and social media posts count too. Want to know more about these or other Google ranking factors and how they matter to your business? Talk to our search engine optimization experts for small businesses. We will not only explain how these Google takes various factors into consideration but also share tips that can help your website rank higher in SERPs for relevant search queries.